STEFANO PILATI OUT AT YSL, HEDI SLIMANE OR RAF SIMONS IN? Suzy Menkes has acted like she has known for months; and finally it has been made official by the house: Stefano Pilati is leaving Yves Saint Laurent. His contract is up in one month, and the suits at Pinault-Printemps-Redoute have not renewed his contract. Though on a positive note, his Paris show next week (March 5th) will be his swansong; cue sobs and weeping from the fashion press and an outpouring of emotion similar to the scenes at Jil Sander this weekend. I will also expect a highly collectible collection. So why is Stefano out? The informed thinking in Paris is that the PPR bosses didn't think his work was up there in the brilliance stakes, and his collections occasionally seemed very laboured; anyone remember that disastrous scene in The September Issue? They also allegedly didn't like the way Stefano conducted himself socially, with a general implication that he was back to his old ways (he has been open about his drink and drug habits in the past, like in this interview with Vice). Or perhaps after eight years as Creative Director of Yves Saint Laurent, and with founder of the house Mr Saint Laurent long since dead, it is simply time for fresh energy to inject new life into the reputation of the house, which in turn will boost sales. It is expected that one of two men will take up the post at Yves Saint Laurent. 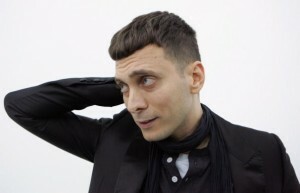 The favoured contender has long been Hedi Slimane the highly creative designer, photographer and art director who ran YSL menswear with a very specific vision from 2001 to 2007. He is in line to oversee the entire creative side of Yves Saint Laurent, an opportunity he hinted he has been waiting for. 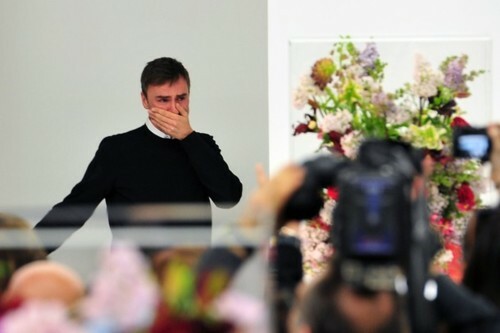 Also now in the frame is 44 year old Belgian modernist Raf Simons who is leaving Jil Sander this week following news that Jil Sander herself is to return to the label. Rumour has it he was fired because industry gossip about him leaving for Dior had gone into overdrive, and Simons in fact has no job to go to. Whatever the truth of the matter, the fashion industry seems mired in the thought that Mr Simons is headed to Christian Dior. But though it is an outside possibility, just how PERFECT would the art and architecture minded designer be for the house of Yves Saint Laurent? Personally, I would camp out to be among the first to own a Raf Simons for Yves Saint Laurent piece. I don't think I would feel the same about a Raf Simons for Dior item; and I'm sure I'm not alone in this. What Stefano does next will also be something the fashion world will wait for with interest. Stefano is a totally lovely and talented man, and I am sure he can emerge with his head held high from all of this.